While the Ford Fusion was already among the top midsize sedans, the 2017 model has leaped past its key rivals. 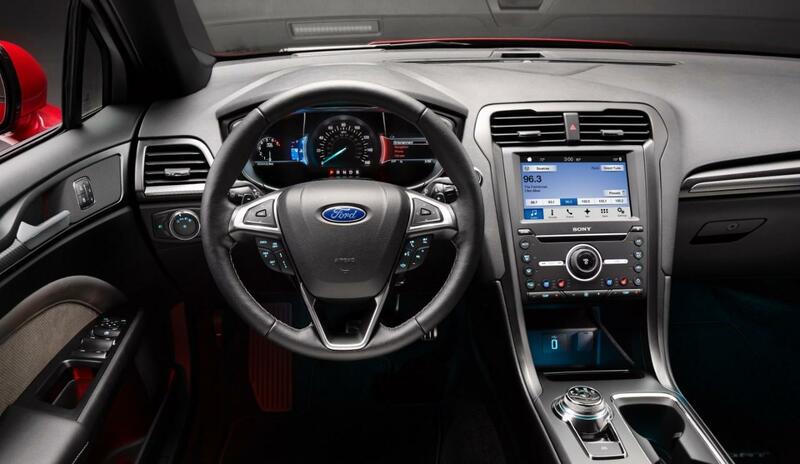 Ford’s new Sync 3 infotainment system is destined to excite technology lovers. In terms of styling, an updated front fascia further enhances the Fusion’s sleek appearance. The highly anticipated V6 Sport model takes the 2017 Ford Fusion’s performance capabilities to the next level. The base power source is a reliable four-cylinder engine. It pumps out a satisfying 175 horsepower and 175 lb.-ft. of torque. 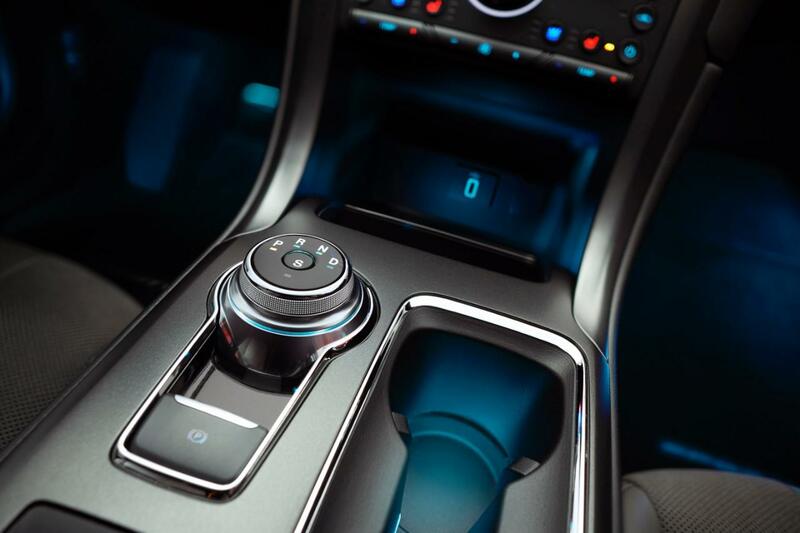 All versions of the Ford Fusion come equipped with a six-speed automatic transmission. If you are seeking the best possible fuel efficiency, upgrade to Ford’s 1.5-liter EcoBoost engine. The turbocharged engine helps the sedan to return an outstanding 37 mpg on the open highway. * Ford also offers a larger 2.0-liter EcoBoost engine, which churns out a potent 240 horsepower and 270 lb.-ft. of torque. All-wheel drive is optional. In terms of sheer performance, the new V6 Sport model stands atop the lineup. Its turbocharged V-6 engine produces a stunning 325 horsepower and 350 lb.-ft. of torque. Although the V6 Sport’s official 0-60 time has yet to be revealed, it will embarrass the average family sedan in a drag race. To enhance handling, Ford equipped the V6 Sport model with an adjustable suspension. It is easy to see why so many people love the Fusion’s styling. The sedan’s striking grille and chiseled hood give it a distinctive look. Featuring a sporty set of 18-inch wheels and a rear spoiler, the Appearance package makes even the base model look stunning. LED headlamps now come standard on the higher trim levels. Meanwhile, a blacked-out mesh grille and quad exhaust tips bolster the V6 Sport’s curb appeal. Edmunds was thoroughly impressed with the Fusion’s high-quality interior. The new Platinum package surrounds you with goodies such as cooled seats and premium leather upholstery. Not only does the cabin have an upscale appearance, but it also provides plenty of room for your family. Some of the most rewarding standard features include smartphone app integration, a rear-view camera, and Bluetooth technology. According to Digital Trends, the new Sync 3 infotainment system is quicker and more responsive than the old unit. With a total of 12 speakers, the available Sony audio system promises to keep you entertained. Excellent passenger safety remains one of the trademarks of the 2017 Ford Fusion. 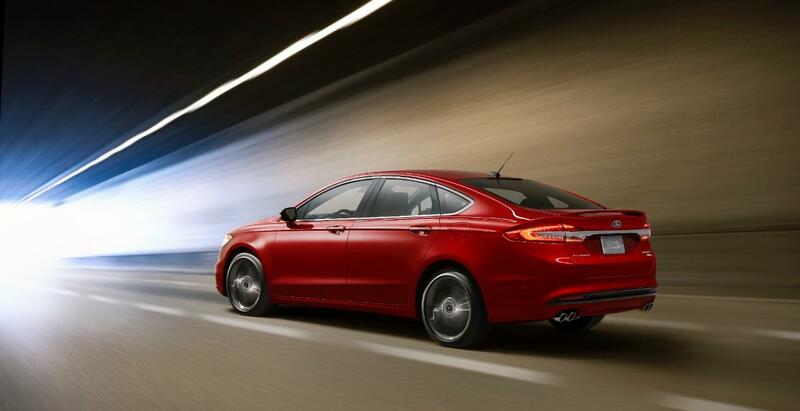 The Fusion’s Top Safety Pick+ credentials put it in an elite class of cars. Parents will love Ford’s innovative MyKey system, which helps teens to drive more responsibly. When driving home after a long day, the drowsiness detector is destined to come in handy. Some of the advanced driving aids include blind-spot monitoring, adaptive cruise control, and lane departure intervention.